Maryland's original post-Prohibition brewpub was Sisson's of Baltimore, Maryland. It ceased operations a few years ago. Maryland's second brewpub is still alive and thriving: The Wharf Rat in downtown Baltimore, Md. Beer Advocate, a website of consumer beer reviews, had recently been erroneously listing the Wharf Rat Brewpub as closed. The confusion may have arisen because founder Bill Oliver had sold the brewpub to new owners on 21 October 2008. Alexander D. Mitchell IV of Beer in Baltimore reports that the brewpub will be closed temporarily for renovations beginning the week of 25 January 2009 and continuing possibly the length of February. The original non-brewing Wharf Rat pub (still owned by Bill Oliver) in the Fells Point area of Baltimore will remain open, says Mitchell. Tonight is out last night until we reopen as the Pratt Street Ale House. Same great beers, same pub feel, same awesome food, but a much better look featuring: a bar on the second floor, a whole new draft system, many more high-def televisions, and parking arrangements.Look for our Grand Opening the second week of March. Come back and get housed at the Pratt Street Ale House!! 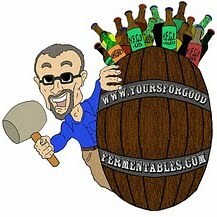 Thanks to Joe Gold of the Society for the Preservation of Beer from the Wood (SPBW) for this tip. Dude. It was closing. 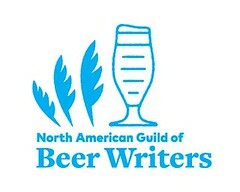 I posted that on Beeradvocate.com.